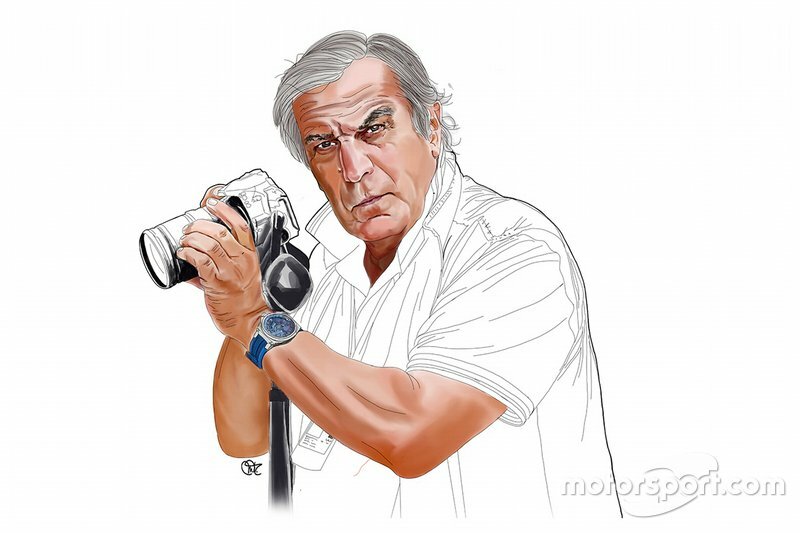 There is more than one way to skin a cat, and while to many fans it would seem all F1 cars are basically the same, that perception couldn't be further from the truth. Among those that appear to occupy the front of the grid, Mercedes' and Red Bull's aerodynamic philosophies couldn't be more different - while Ferrari has seemingly risen to the challenge with something in the middle of the spectrum. The first major obstacle we have to overcome in understanding the different philosophies in play is understanding rake. It's a phrase that has become almost synonymous with Red Bull because of the team's extreme nose-down attitude and the fact its whole aerodynamic philosophy is built around it. But we must also understand why others don't chase the same extreme concept when designing their cars. Running in this configuration can be beneficial on several fronts provided you can maintain the correct ride height and overcome some of the compromises. 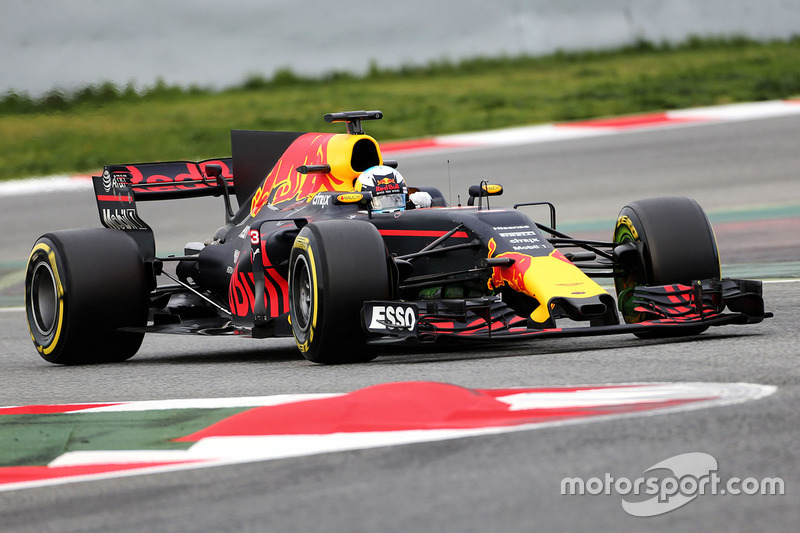 Of course, Red Bull, under the tutelage of Adrian Newey, have been perfecting the aggressive raked stance since the introduction of the 2009 regulations and while the prevailing regulations have been altered somewhat throughout the last eight years, the raked stance has been a mainstay. 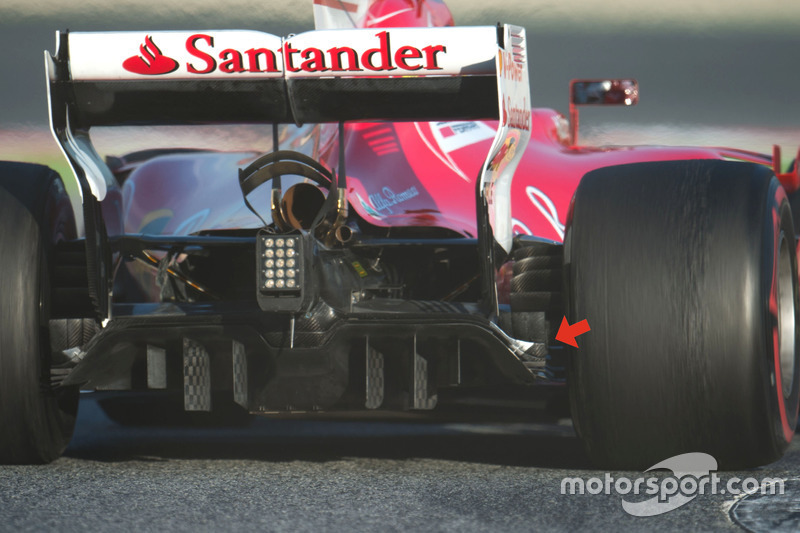 The 2017 regulations actually accentuate the raked philosophy, given the reduction in length of the T-Tray/Splitter by 100mm, allowing the designers further scope with which to evade a collision with it and the tracks surface. It's fair to say at this point that while Red Bull continue to push on with its high rake philosophy, so too Mercedes continue to run at the opposite end of the spectrum with very little rake present in its set-up. 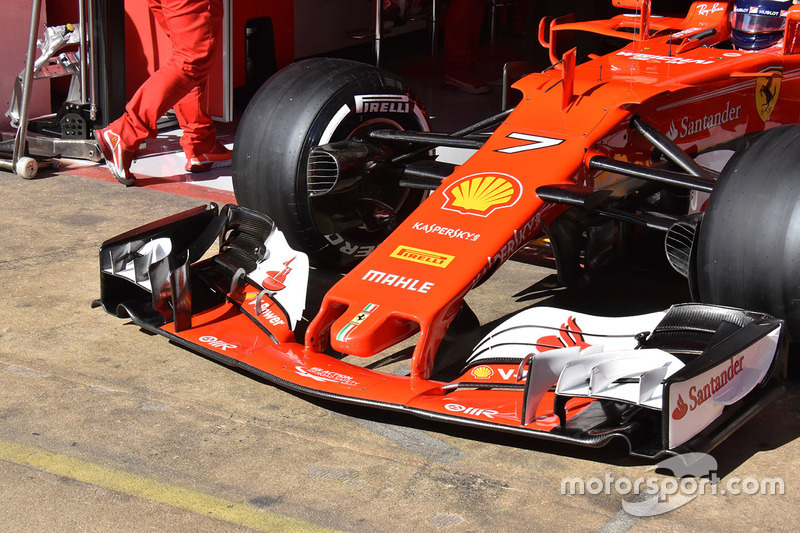 Ferrari, meanwhile, appears to have edged closer to Red Bull, maximising changes to certain areas of the regulations in order to improve the aerodynamic seal necessary to expand the diffuser's area. The nose down attitude is good news for the front wing too, as it tilts the wing toward the track surface where it can sit at a more optimal height in order to maximise ground effect, enhancing the downforce and flow structures it creates. That's one of the main divergences you'll note when viewing the Red Bull and then comparing it with the Mercedes and Ferrari front wings in action. 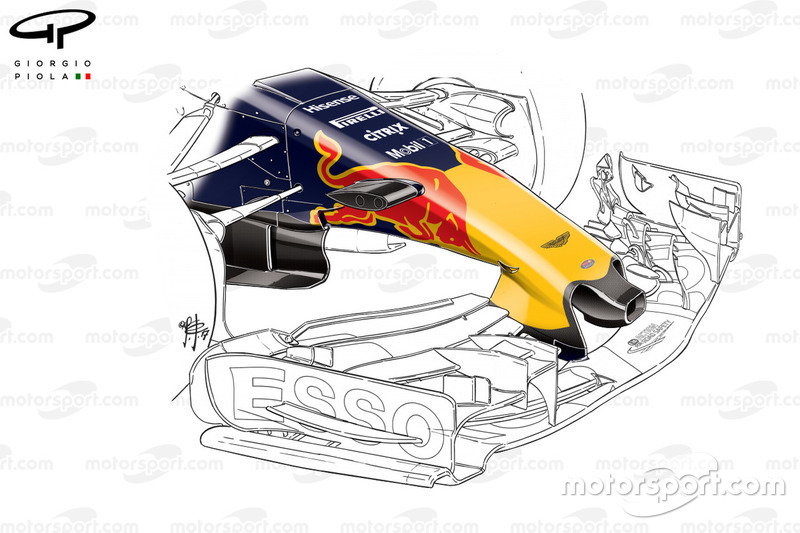 The RB13's wing is much closer to the ground due to the rake angle and this should help drive the airflow toward its intended target, with more efficiency and with less need to remedy it downstream. Take the Y250 region for instance. 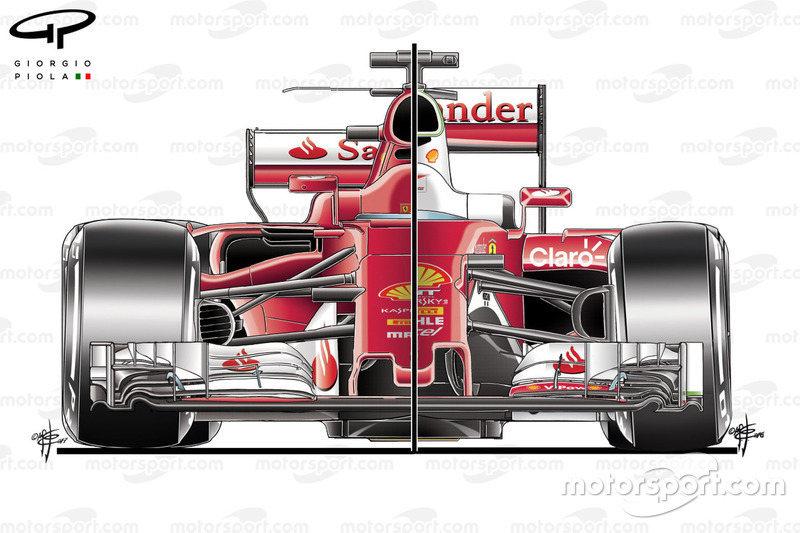 This section of the wing (which spans 250mm either side of the car centreline) was made 'neutral' by the FIA in 2009 but ever since then the teams have been trying to influence it to make gains, be it with the placement of the camera housings the shape of the nose or its height in reference to the ground. 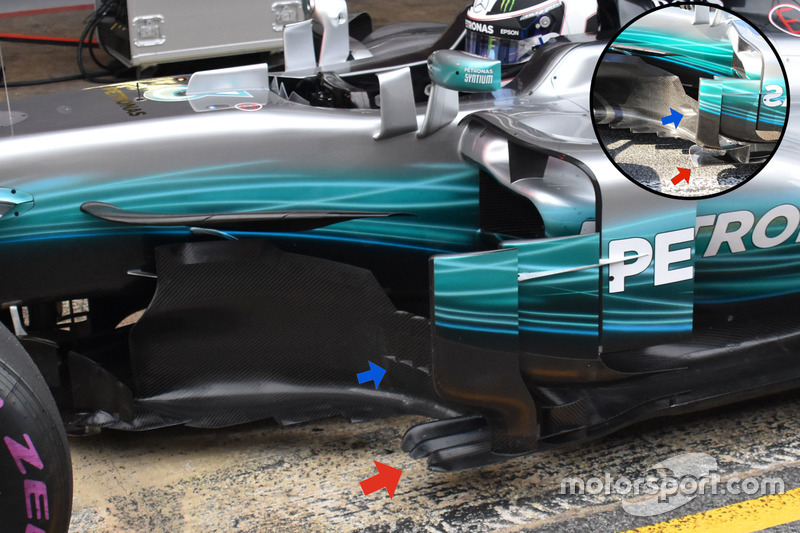 For 2017, Mercedes and Ferrari have continued to follow the same development path as they had in previous seasons, with the flaps arched over to make a point (blue arrow), in order to interact with the Y250 vortex being generated by the flap and neutral juncture below. In Mercedes' case, the team has exacerbated the shape of the vortex being created by pinching the Y250 juncture too, whereas Red Bull has a very different approach as the RB13 features a much flatter connection of the flap and neutral section. This year the flaps have been repositioned so that they arch in the opposite direction (blue arrow), undoubtedly reshaping the Y250 vortex too. The differences continue in the way they treat the airflow, as it washes across the front face and around the outside of the tyre. Red Bull and Ferrari assist the front wing in this instance, with their blown axles used to help reshape the wake shed by the front tyre. 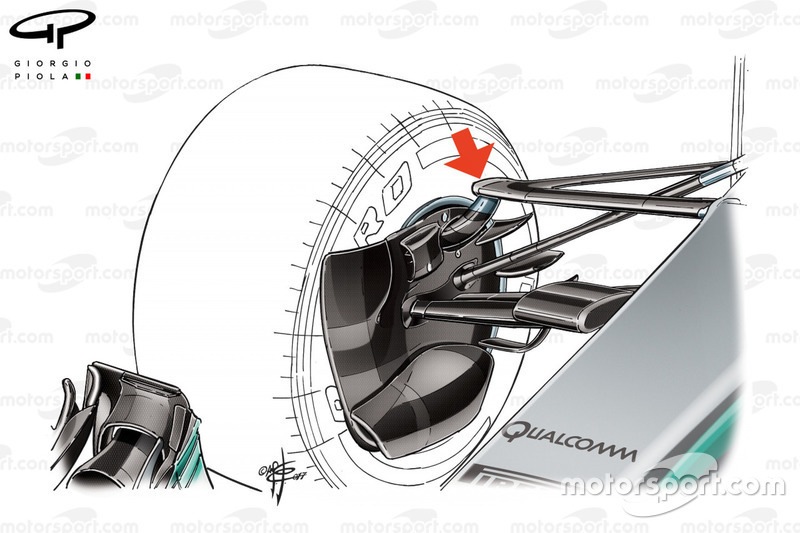 Mercedes' outwash tunnel design is the same as the one introduced during 2015 and while Red Bull's concept is also very similar in the outwash region to its predecessor, one area of interest is the arched footplate (red arrow), as it is no longer perpendicular to the endplate along its entire length, changing how airflow is received, conditioned and sent on its way. Mercedes have opted to displace its front suspension upper wishbones for 2017, with a horn sprouting from the upright, in order to place it much higher than is ordinarily viable (red arrow). This will not only have an effect from a kinematic point of view but is also driven by aerodynamic considerations, with the wishbone's height, shape and angle pivotal in deciding the airflow's direction as it moves down the car, which is even more important when we consider the complexity of the aero appendages placed just behind it and ahead of the sidepod. Ferrari has looked at this problem laterally and, rather than change the suspension kinematics, as the team is likely happy with how it performs, it's decided to change how the airflow is collected by the sidepod inlet and in doing so has also improved the airflow's performance around the sidepod, too. Comparing the SF70H with the SF16-H, you'll note the higher inlet presents the airflow with an almost unobstructed pathway to the radiators and electronics that need to be cooled within. This also offers a much more sculpted surface for the airflow to follow, as the team looks to entice it rearward into more desirable positions. This is all made possible by the way Ferrari has looked at the change in regulations and the effect those could have on the overall shape of the car. The regulations were written in such a way that the leading edge of the floor and sidepods be angled away from the car, in order to satisfy the aesthetic appeal that was part of the FIA's mandate when instructing the regulations would be amended. This angle is considered undesirable to the designers in terms of the shape of the cooling inlet and so most of the teams have set the sidepod back slightly, allowing them to circumvent the geometric requirement. 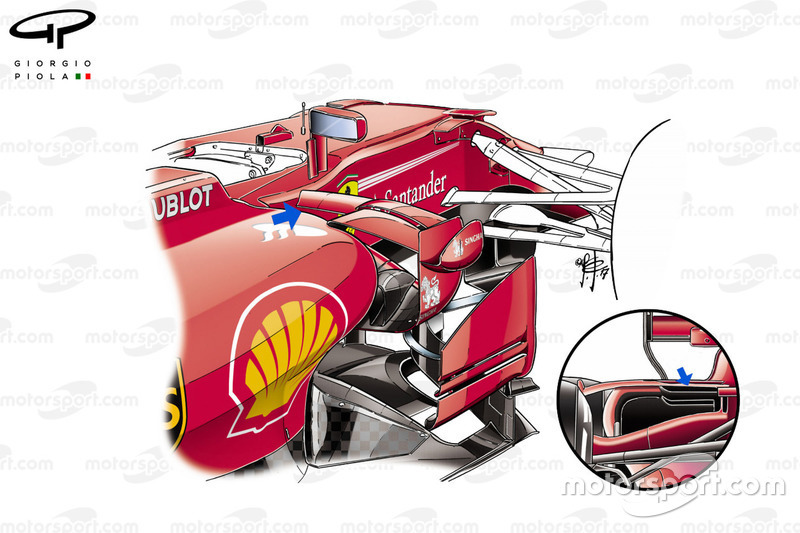 Ferrari has taken this route too, but the sidepod is obfuscated by numerous airflow conditioning devices, in order to make use of the area. 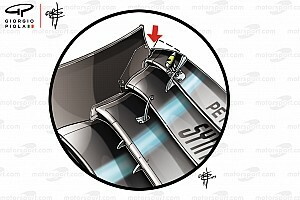 This has also allowed the team to compartmentalise the cooling outlet, introducing an upper inlet (blue arrow) which likely feeds the internal framework which surrounds the radiator to improve both the internal and external sidepod airflow. Mercedes' nose solution, similar to that of last season (above), is using the vanity panel to overcome the packaging issues that the team faced, especially as it was ducting airflow from a more prominent position than just under the nose/chassis juncture. Red Bull, who took a year's sabbatical from the 'S' duct, returns to the solution this year, having studied the designs used elsewhere. 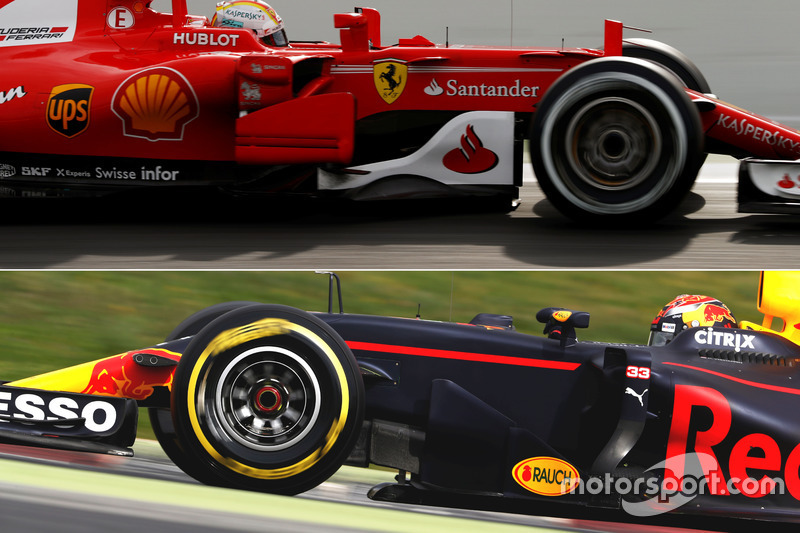 The team continues to use the thumb tip-style nose though, rather than the slender one preferred by Mercede. 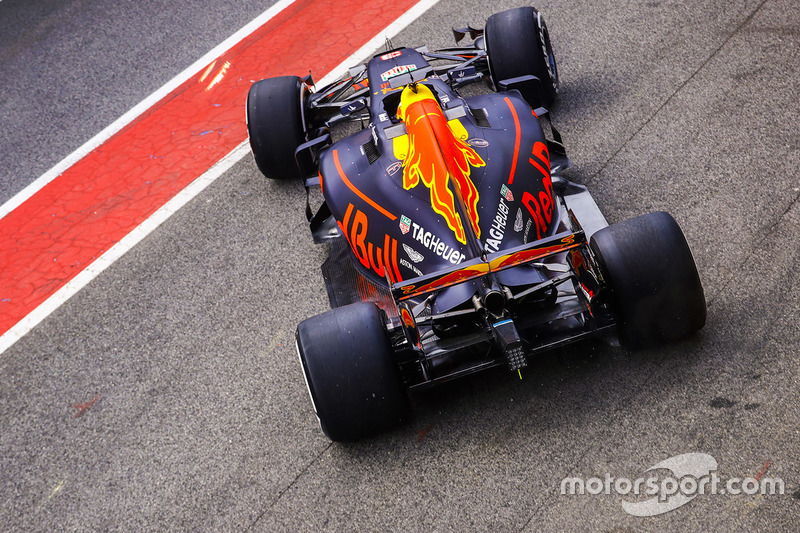 However, Red Bull has stole a march in this respect by taking advantage of the cross-sectional rules to open up an inlet in the front face of the tip. This falls within the scope of the regulations as the vertical strakes within allow a slice to be taken through the nose at any point without exposing a hole. The idea is that although the thumb tip is physically present, to the airflow it isn't, as any airflow taken in is directed out of a hole on the rear face of the thumb. It's a nice interpretation of the regulations, much like the 'Cobra' nose used by Force India in order to imitate a high nose. The 'S' duct inlets can be found just behind the front wing pillars and, like Toro Rosso had done last season, Red Bull has given them a NACA shaping. 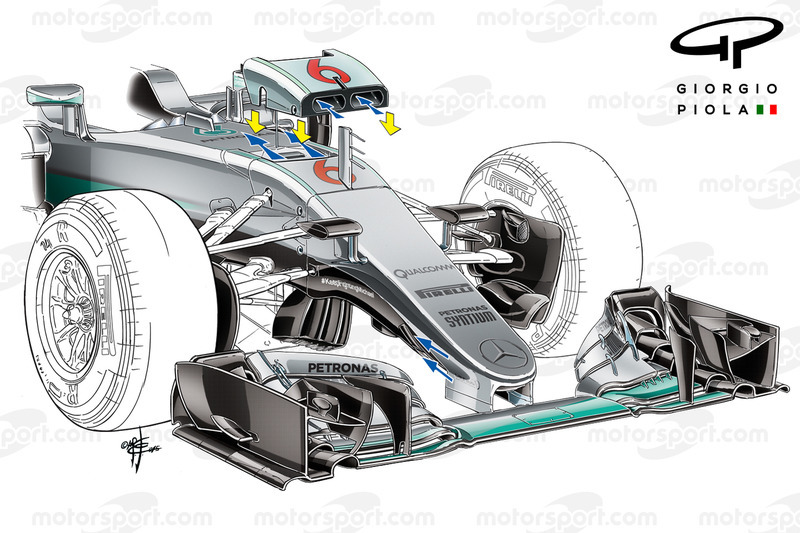 This puts the inlet, much like Mercedes' solution, in a much more desirable position to collect airflow than under the nose, especially as the nose is 200m longer this year. Driver cooling is still taken care of by the inlets in the corner of the chassis. Ferrari has adopted an 'S' duct for the first time since 2008, taking on board the design implemented by Mercedes and Toro Rosso last year and placing the inlet just behind the front wing pillars and ejecting the air it takes in over the upper surface of the chassis. The exit is flanked by two winglets either side of the chassis, which not only help to define the direction of the exiting airflow but are also used to control the air upwashed by the front suspension elements. Under the nose/chassis is another area where the Mercedes and Red Bull divergence peaks, with Mercedes turning vanes a much more complex expression of its aerodynamic philosophy. Note, for instance, the introduction of a new more horizontal vane (red arrow). Red Bull, meanwhile, has added another vertical vane in behind their turning vanes, almost creating a tunnel as the appendages reach back to where the bargeboards are sited. 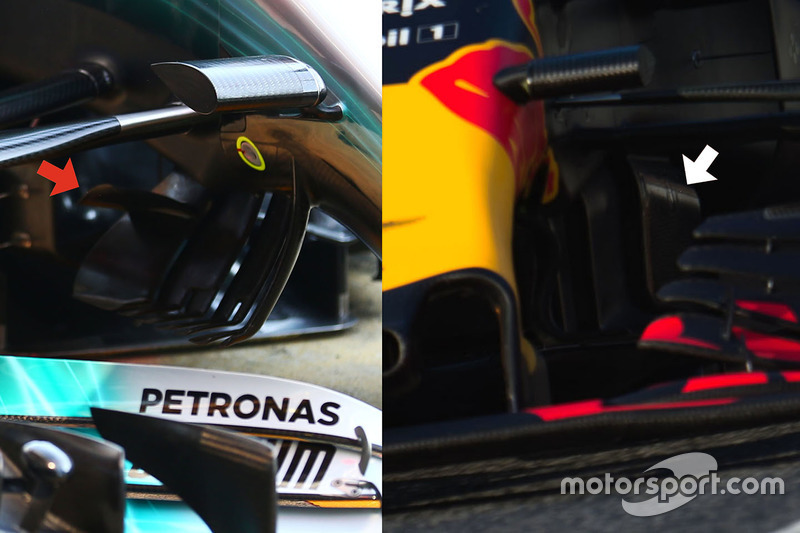 Mercedes opts for a staccato solution - shorter, more aggressive working of the air, whilst Red Bull's legato approach uses long purposeful strokes to entwine aerodynamic structures so that they need less work as they move down the car. 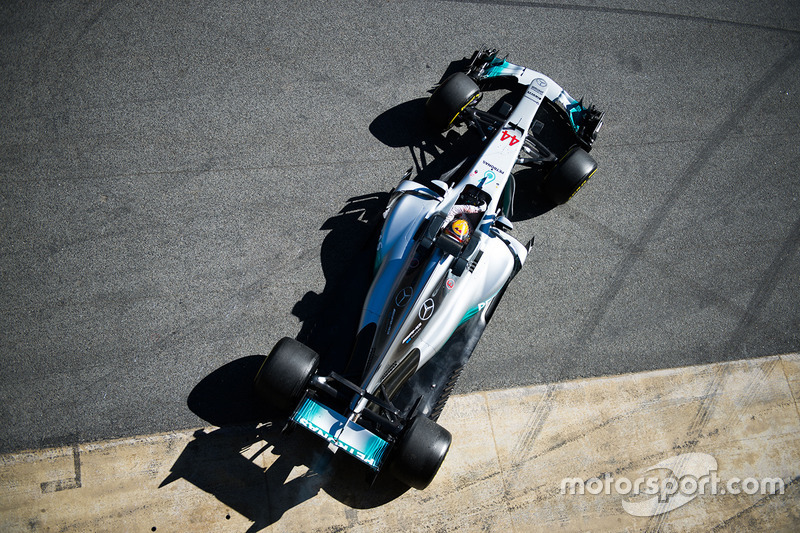 Mercedes began testing with a simplified version of its floor and bargeboard configuration (inset), waiting until the second test to show its hand. The W08 was then furnished with a revised axehead that features the W-Floor-style floor strakes protruding from it (red arrow), while the vertical slots that became a familiar sight on the W07's bargeboards are now also in use (blue arrow). The complexity needed to make the airflow work that much harder at the floor's leading edge on the Mercedes is not followed by the more highly raked pair of Red Bull and Ferrari. In fact, the RB13 is quite barren in that respect - more so than the SF70H, which tries to marry the best of both solutions. This is primarily because of the way the airflow has been set up until this point and also due to the nature of how the the various teams want to try and 'seal' the diffuser area in order to increase the rear downforce being leveraged from it. The RB13's sidepods are another area where we can see Red Bull moving away from convention as they don't have the flat upper surface we are used to seeing. Instead, they have a bowed surface which doesn't extend to the new full-width available in the regulations, which leads to an extremely tapered flank and leaves an enormous section of floor exposed as the engine cover curves toward the coke bottle region. In comparison, the W08 does have full-width sidepods and a flatter upper surface but features a much more aggressive undercut in order to make space for the air to move around the sidepods, before tightly narrowing into the coke bottle region. 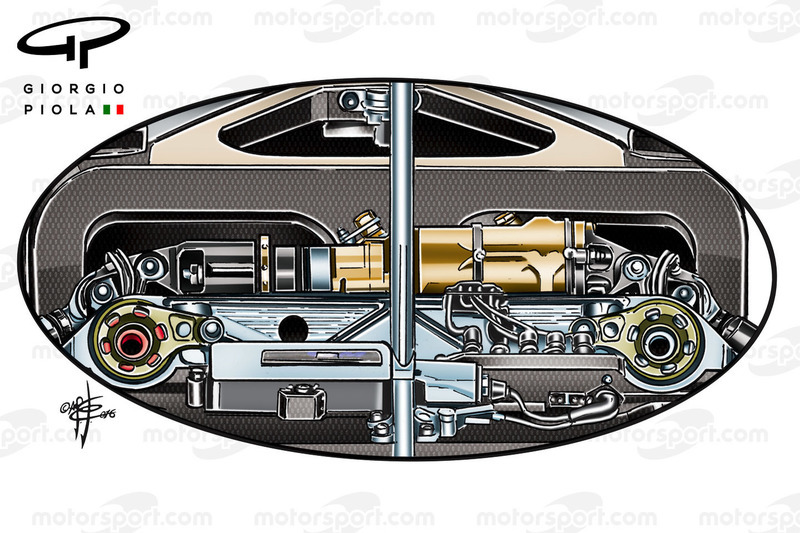 We've already looked at how Ferrari has maximised the new regulations in this area due to how its philosophy is intrinsically linked to the airflow passing over and around the front suspension - but the diverse nature of the designs in this area does also point toward a very different internal architectural layout from team-to-team, which will be fascinating to see when the covers inevitably come off in the coming months. The diffuser has been dramatically increased in size for 2017, now 50mm wider, 50mm taller and, most importantly, starting 175mm ahead of the rear wheel centreline, rather than on it. This increase in diffuser area will provide the teams with a large chunk of the downforce needed to achieve the FIA's remit of cars that are five seconds per lap quicker. When this is combined with additional rake angle, the diffuser area continues to soar providing the airflow can be contained, something that Red Bull has excelled at, even though the use of exhaust blowing tactics like we saw between 2010 and 2013 have been curtailed. 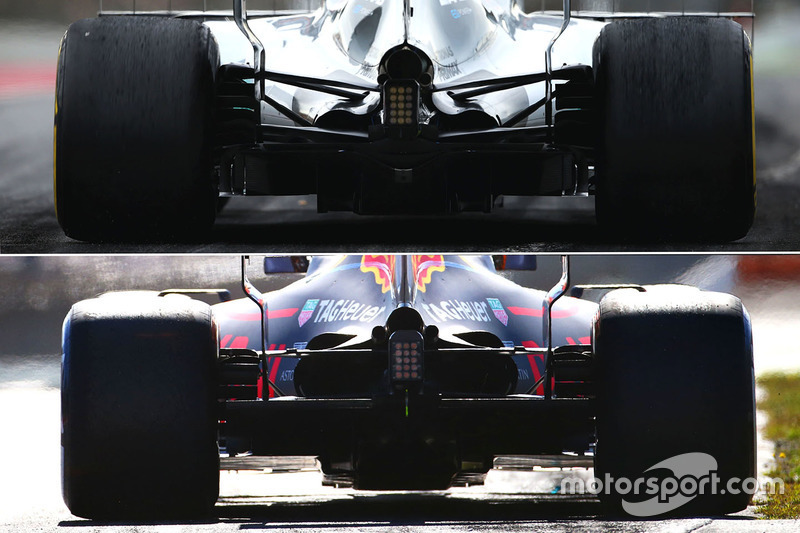 Red Bull's exploitation of increased rake angle and downforce via the diffuser means that the team is able to reduce the rear wing's role in creating downforce, as is easy to observe from the much shallower angle of attack it employs when compared with its rivals. Mercedes is looking to overcome some of the drag penalty that comes from running a steeper angle of attack on its rear wing by utilising a gentle spoon-shaped mainplane, which reduces the drag being created at the wing tip. Meanwhile, Ferrari have maintained a level of design parity when it comes to their diffuser, opting to retain the complex stack of fins on the outer portion (arrowed), something that was revised slightly during the first two tests. 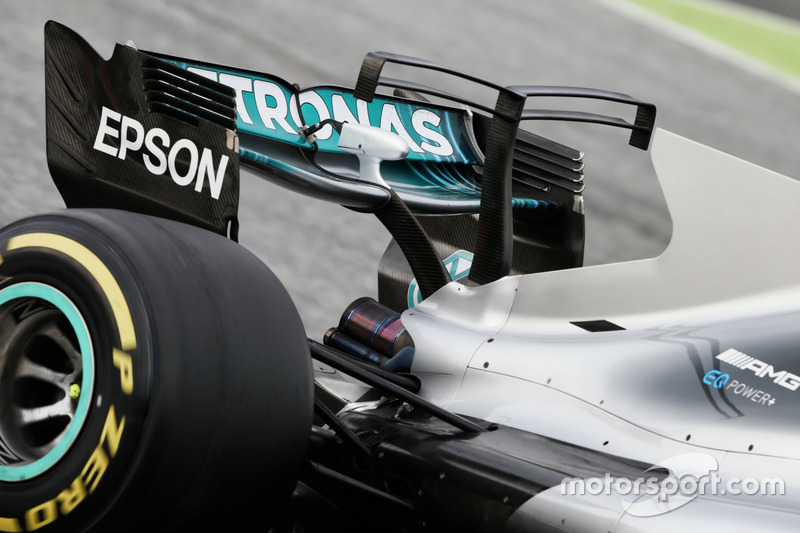 Like Mercedes, they seem to be a little more concerned with lining up the diffusers outer flow structures with those of the brake duct winglets and the wake created by the rear tyres as they deform too. 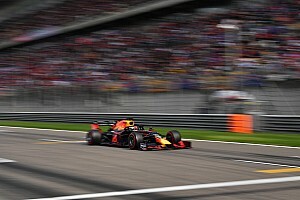 Christian Horner has been vocal in his derision of the shark fin engine covers that feature up and down the grid - and his team did attempt to have them outlawed at the last Strategy Group meeting. This is political posturing, given the appendage is much less effective, owing to Red Bull's raked philosophy. For other teams who run with less rake angle, the lower position of the rear wing this year means it would be subjected to more turbulence from the airbox and engine cover if it were not for the shark fin. The fin erodes some of these issues by re-aligning the airflow, whilst also capturing airflow that might otherwise go unused in yaw. The highly raked RB13 features a shark fin, but you'll note it's not as aggressive as some of the other interpretations, as the disturbances to the rear wing are lessened by the angle of the rear wing given the rake angle. Allied to their shark fin engine covers, both Mercedes and Ferrari have decided to exploit a mistake in the last draft of the 2017 regulations that has allowed the teams to use T-Wings. These winglets can occupy a 50mm space ahead of the rear wing up to 950mm above the reference plane like the previous rear wing, whereas the rear wing in 2017 cannot exceed 800mm in height. The designers are using these T-Wings in order to reshape both the airflow ahead of the rear wing and the upwash that occurs as a consequence of the airflow being worked by the rear wing and diffuser, in order that the aero structures connect more effectively. All of this aero work is for nought if the aero platform moves around too much, which is the reason why we've seen a swing toward development in this area, with Mercedes leading the way with its hydraulically assisted suspension. 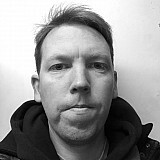 Development has primarily been focused around the use of a hydraulic heave element, stabilising the chassis' compression when needed and improving the car's balance during transitional phases. Mercedes has run a hydraulic heave element since the latter part of 2015 but it was noted that Red Bull also opted to do so in the latter part of last season, replacing the Belleville spring arrangement it's been using for several years. 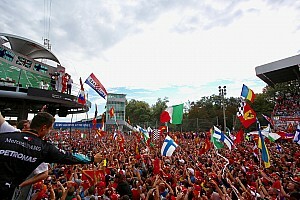 During the development phase for 2017, Ferrari was clearly investigating the use of a similar system and asked the FIA for clarification of certain criteria in order that it didn't push development beyond the limit of what the governing body consider legal. This has led to a bit of pushback from the FIA but all of the teams on the grid seem to be of the opinion that their suspension systems are compliant as we head toward the season opener. 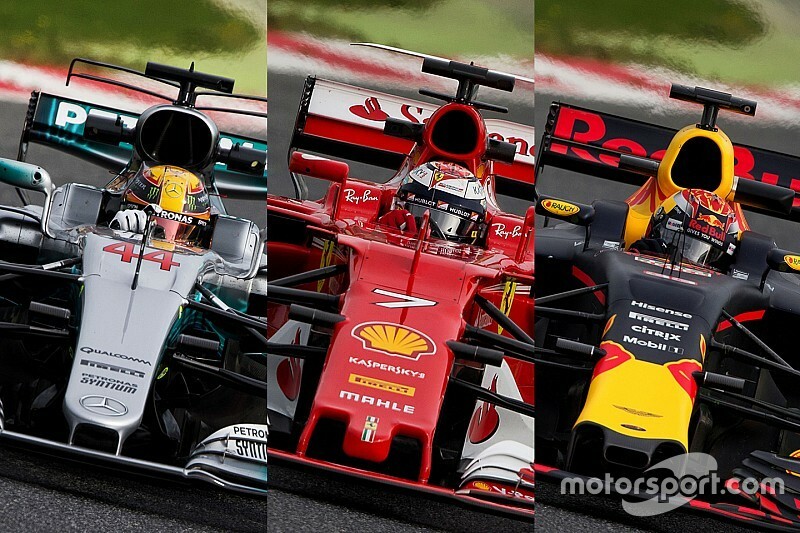 Make no mistake - the role that Mercedes, Red Bull and Ferrari played in the development of 2017's tyres will have helped the trio big time when compared to their competitors, even if measures were installed whereby data was shared with the rest of the field and a certain amount of blind testing was done. First-hand knowledge of how these wider tyres perform on your own challenger and the chance to use that to design the 2017 car will have been invaluable, not only from a kinematics point of view but also in understanding their aerodynamic impact. 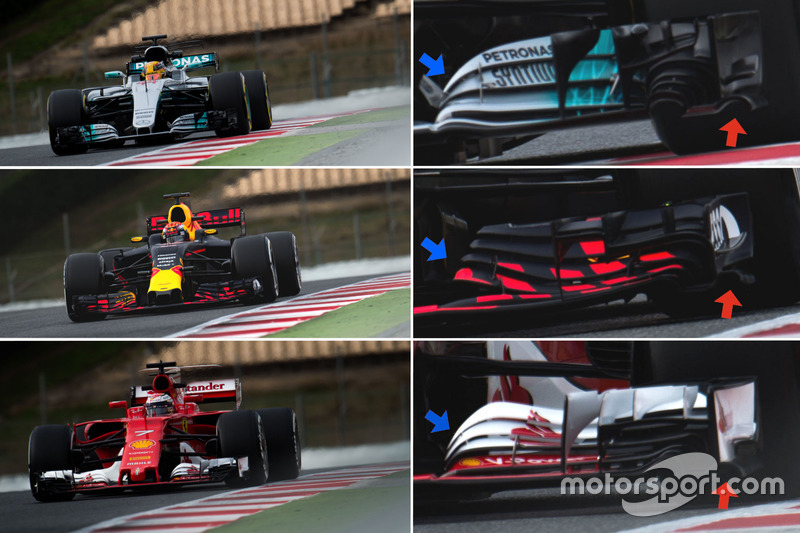 If you had to compare their approaches to moving airflow around their respective cars, Red Bull's would be akin to using a tack hammer, while Mercedes' is a sledgehammer job. This is not new. 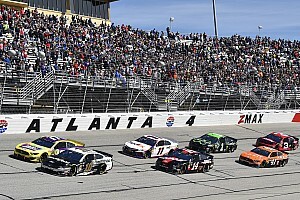 Both teams have opted to run in these differing configurations for several years now but the way in which they do so seems to become a little more radical year-on-year. Meanwhile, while Ferrari has previously often concentrated too heavily on one or two aspects of its car rather than looking at it as an entire package, the SF70H appears to buck that trend. While it's not as extreme as the other solutions, it may well have taken the best of both.